To be or not to be, that is the question: segmentation or personalization? There is a significant increase of potential customer engagement opportunities across new digital channels, devices, and more, presenting the risk of fragmented and complex customer journey. 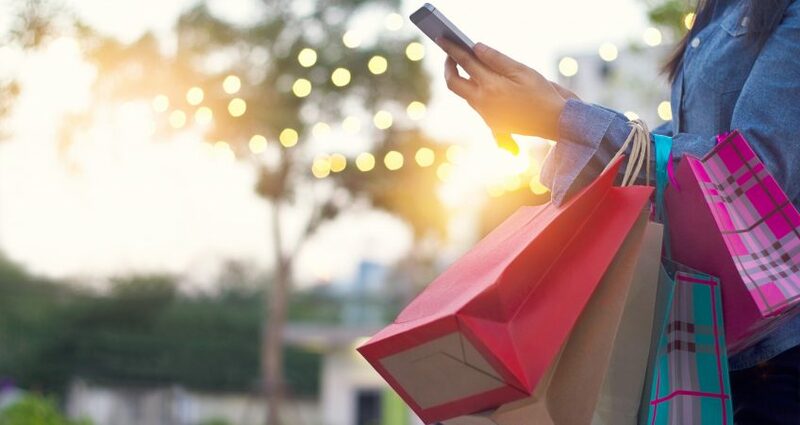 Retailers face the need to keep the entire journey uniquely focused on each shopper’s context, not disconnected sequential touch points informed by segment propensities, for delivering a seamless customer experience throughout every single interaction. According to IDC’s Retail Innovation Survey conducted in June 2017 among 400 retailers in the United States and Europe, customer experience platform is considered essential or high priority for innovation by 41% retail organizations globally. At the same time, the IDC Retailers’ Target Customer Journey Model highlights that the market is at low maturity, only 3% of retailers are working on a customer experience model that enables the definition, execution, and dynamic, real-time updates of customer journeys, based on hyper-micro personalization. The majority of retailers are approaching customer experience through customer segments and personas (48% and 36%, respectively), where segmentation validates the identity of homogeneous customer groups, whereas personas help then enrich those identities for building future-state customer journeys and experiences. IDC sees a real opportunity to differentiate on customer experience, approaching each customer as an individual through real-time hyper-micro personalization, no longer relying just on segment-based approaches to customer engagement. Thus, to execute the customer journey effectively and efficiently, retailers need an agile customer experience architecture (Figure 2) providing seamless composition of customer services leveraging information, processes and channels consistently. Figure 2 shows how the customer experience platform is a perpetual loop and the statements inside are repeated ad infinitum, optimized dynamically through an intelligent core. Starting from the bottom, data arrives into the organization in the form of files, but also in streams, from connected devices, logs, mobile devices, and third parties. The information level accelerates data ingestion, understands and governs data, creating a unified information lake that is a primary step for setting up a hyper-micro segmentation strategy. From above, real-time contextual data comes in through the customer journey touchpoints, circulating through the Artificial Intelligence (AI) foundation that is at the heart of this platform. AI enables an innovative approach, changing the knowledge map from customer behavior to the characterization of its social context, potential needs, and decision making. Alibaba, China’s biggest online commerce company, is a great example. They are using Artificial Intelligence for customer experience personalization, merchants selling on the Alibaba network ecommerce website can personalize their virtual storefronts for individual visitors, offering real-time, tailored product recommendations based on purchase histories, behavioral data, and a host of other information. 6.7 billion personalized shopping pages were generated during the last 11.11 shopping festival, a 24-hour online sale event, resulting in 20% higher conversion rate compared with non-personalized pages. Another good example is MediaMarktSaturn, German Group that operates more than 1000 stores and offers online shopping in 15 countries in Europe. They have deployed its own robot “Paul” in selected shops, and it’s testing the outcomes of customer interactions. As shop assistant, Paul personally welcomes customers and assists them in finding their desired products through recommendations. Retailers are adopting a broad range of AI technologies, including machine learning tools, voice/speech recognition, natural language processing, and image recognition/analytics, leveraging a vast amount of new data sources such as unstructured contextual data. As a matter of fact, several retailers have added AR shopping capabilities to their digital experience, including Ikea, Houzz, Wayfair, eBay and Target. In November last year, Amazon introduced a new feature called “AR view” to the Amazon app for iOS devices. AR View offers the ability to view thousands of products such as furniture, electronics, and home décor in the consumer reality with augmented product views in the home. Automation is a key way of achieving customer experience personalization at scale. And 37% of retailers are already adopting or plan to adopt AI for customer experience personalization in the next 12 months. Personalization doesn’t just matter when the consumer is considering making a purchase; the consumer expects individualized support throughout their entire customer journey, from initial engagement to customer support. AI is a key enabler, not only for the front-end applications, but also for all the back-end processes that support hyper-micro personalization. In conclusion, far from being only a marketing challenge, customer experience personalization is a new way for retailers to do business with an individualized value proposition at the core, merging physical and digital experiences. The new report “IDC Planscape: Omni-channel Retail Customer Experience personalization” will be published soon, stay tuned!